Last night, I started my new, original DnD/Pathfinder campaign, entitled “Fallen Heroes.” I should also note that this is my first time ever hosting a DnD style roleplaying game. It went fairly well, I think, but not perfectly and I thought I’d take an honest look back while the memories are fresh, so that I, and maybe some of you as well, can learn a little something. Chapter 1: The Invasion of Teodar. The story begins with our heroes not actually knowing each other, and not really setting out to do anything heroic anytime soon. In fact the only thing they have in common is that they happen to be in this town on a particularly eventful day. The players awoke at the start of the campaign to the sound of a noisy invasion. Hundreds of kobolds, lead by orc commanders, were smashing recklessly through the town, slaying prisoners and capturing wounded. The players had no choice but to fight for their lives. Unfortunately, there were far too many enemies, and they were overwhelmed. Long after the battle cleared and the kobold army had moved on, the players awoke in the village tavern, pulled to safety by an old man named Godre. From Godre they learn that recently the Protector of their village had been killed, and their Princess had been captured by a wizard. Godre had heard of rumors of a cavern that could potential bring back the life of the Protector, but recommended rescuing the Princess first, as a single lonely wizard would be easier to take on than an entire army, and perhaps the princess could provide help. So the players headed south to rescue the princess. Along the way they saved two women and their cart of possessions from harassing goblins. Once they reached the Wizards tower and fought off some more goblins at the front door, they found the door to be unlocked. Entering, they find a spiraling staircase with a center room on each floor, though they quickly discover that each time they enter the center room, no matter which level, they end up on the first floor again. Eventually a magical ornament on the wall teases them and offers a riddle, which they decipher to reach the Wizard’s chamber. 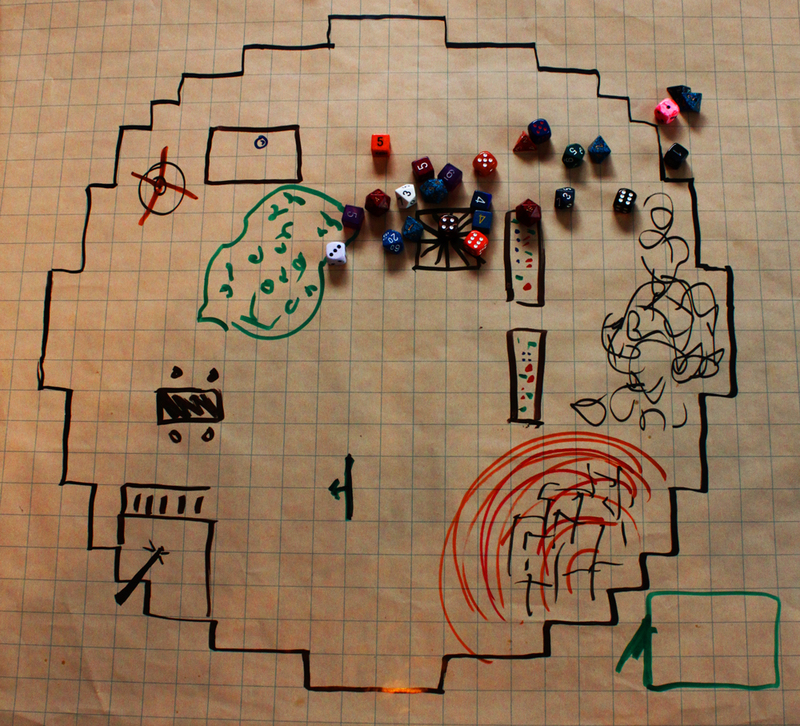 The wizard launches a warning fireball, but upon realizing the players are not goblins, does not continue the fight. A short discussion reveals that the Wizard did not kidnap the princess, but instead was protecting her for they knew something was afoot. He reveals the princess, who explains that there is a Cavern of Souls. This cavern is the stuff of legend but is their only hope for rescuing the Protector and restoring the village. This cavern is guarded by the Fortress of Souls, which is now occupied by the Kobold army, and there are 4 potential ways to get there – the main road, a series of caves in the mountains, a rift between astral planes, and a eccentric Dwarf inventor. 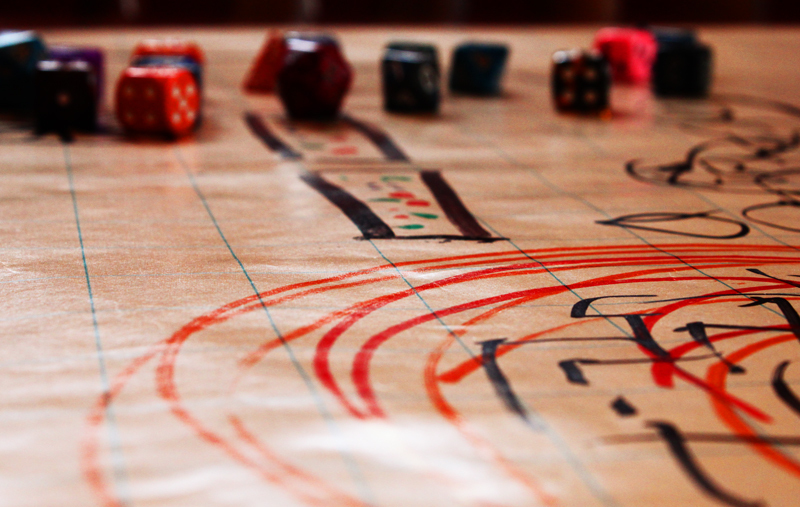 The players decide to pursue the Dwarf to see what help he can offer. I think it went well especially for my first time GMing a game, but there were definitely some rough spots that could have run better but for my lack of experience. In part II, I will discuss what went wrong, followed by part III what I was pleased about. I’m breaking it into 3 parts just to make it in more consumable bites.